The following article was published in the “Croatian Chronicle – Chicago”, No. 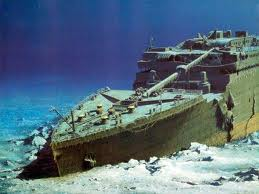 1, Spring 2002, under the title “Sinking of the Titanic – 90th Anniversary.” On the occasion of the 100th anniversary of the Titanic tragedy, we are bringing here the same text with a few small changes. Čačić Jago/Grga, 18, single, Široka Kula, destination South Chicago, Illinois. Čačić, Luka, 38, married, Široka Kula, destination South Chicago, Illinois. Čačić, Manda, 21, single, Široka Kula, destination South Chicago, Illinois. Čačić, Marija, 30, single, Široka Kula, destination South Chicago, Illinois. Čalić, Jovo, 17, single, Breznik, destination Sault Ste. Marie, Michigan. Čalić, Petar, 17, single, Brezik, destination Sault Ste. Marie, Michigan. Čor, Bartol, 35, married, Kričina, destination Great Falls, Montana. Čor, Ivan, 27, married, Kričina, destination Great Falls, Montana. Čor, Ljudevit, 19, married, Kričina, destination St. Louis, Missouri. Dakić, Branko, 19, Gornji Miholjac, destination unknown. His body, even if found, was never identified. Dika, Mirko, 17, single, Podgora (Crikvenica? ), destination Vancouver, Canada. Dimić, Jovan, 42, married, Ostrovica, destination Red Lodge, Montana. Hendeković, Ignjac, 28, married, Vagovina, destination Harrisburg, Pennsylvania. He traveled with Matilda Petranec. His body was recovered by the MacKay Bennett (#306) and buried at Mount Olivet Roman Catholic Cemetery, Halifax, NS on May 10, 1912. “One knife, purse with $12 in notes; small purse with 72 cents; two third class tickets, No. 349245 for Matilda Petram (Petranec) and No. 349243 for Toznai!! Hendeković” were found on his body. Karajić, Milan, 30, married, Vagovina, destination Youngstown, Ohio. Orešković, Marija, 20, single, Konjsko Brdo, destination South Chicago, Illinois. (Boarded together with her relatives Luka and Jelka Orešković. Marija’s mother received a grant of £50 from the Mansion House Titanic Relief Fund. Pavlović, Štefo, 32, married, Vagovina, destination Harrisburg, Pennsylvania. Petranec, Matilda, 28, widow, Vagovina, destination Harrisburg, Pennsylvania. (Boarded with Ignjac Hendeković. Her ticket was found on the body of Mr Hendeković. Smiljanić, Mile, 37, Pisač near Udbina, destination unknown. His body, even if found, was never identified. Stanković, Ivan, 33, single, Galgovo, destination New York, NY. Some sources on the web claim that Stanković was in America previously. Supposedly, after the death of his wife he returned to take care of some legal matters dealing with her inheritance, and on the way back he lost his life. Strilić, Ivan, 27, married, Široka Kula, destination South Chicago, Illinois. Turčin, Stjepan, 36, married, Bratina, destination Youngstown, Ohio. To this above list we are adding also the name of a Benedictine priest, Josip Perušić (Josef Peruschitz), born in 1871, Bavaria, Germany, but who was of Croatian heritage. He was on the way to assume the position of a principal in a Catholic High School in Minnesota. Survivors of the Titanic tragedy witnessed how he refused to enter a safety boat in order to give others the chance to save their lives. Bakić, Kerim, 26, married, Bakić, destination Harrisburg, Pennsylvania. The bodies of the above passengers from Bosnia, even if recovered, were never identified. Ivan Jalševac, age 29, from Topolovac. He was married to Kata, who stayed behind in his native village. He was on his way to New York, NY. After he was rescued, however, he traveled to Galesburg, Illinois, where he had a friend, Franjo Karun. Later, he returned to Croatia and died in 1945, according to some sources. Nikola Lulić was born on February 24, 1883 in the village of Konjsko Brdo, Lika, Croatia. In 1902, while serving in the Austrian Army, he deserted and immigrated to America. He went to Chisholm, Minnesota and worked as a miner in the “Alpena Mine”. In autumn 1911, he came back to Croatia for half a year to visit his family. At this time, he was already married for the second time. His second wife, Marta, and his two children lived in Croatia at the time. When it was time to go back to America he served as an unofficial companion to other immigrants who paid his ticket. He helped them with translation and advised them of what to expect during the voyage and after their arrival in America. He boarded the Titanic at Southampton and was on the way to Minnesota. Mr Lulic survived the sinking and was rescued by the Carpathia. After arriving in New York, Lulić went to his uncle Ross Rosinić at 118 Tocence (Torrence?) Avenue, Chicago, Illinois. His Americanized name was “Nicola Lulich”. After the First World War, Lulić returned to Croatia and earned his living as a farmer, but sometimes he also worked in France as a seasonal worker between the two World Wars. Some sources tell us that she was born in 1881 and she married Miško Banski in 1904. They had a son, Franjo. (Other sources state that they had three sons.) Whatever the case, it seems that she left her husband and went to America, traveling under her maiden name, Osman. Later, her son Franjo joined her in the US and he died in California in 1980. Mara eventually remarried and, supposedly, she died in Wisconsin in 1938. Details about her life in America are not know to us. This entry was posted in Diaspora, History by admin. Bookmark the permalink.